the observatori: Some People Read. I Travel. Since returning to Canada, I've had a few people ask me why I travel so much. It's a hard question to answer because I feel the answer is so obvious. Does anyone ever ask a person why they read so much? It's the same thing. Why do people watch television? It is in our nature to want to experience more. The very existence of the 3D Home theatre is a testament to the human desire to experience more and to experience it in the most real sense possible. Life is great. Variety is great. And the more of it you experience, the more you can appreciate every magnificent detail of it. Travel is the ultimate book/movie. Each trip has it's own soundtrack. It's own supporting cast. It's own elaborate set. It's own smells and tastes. And I get to be the protagonist every time! This time I am en route from Frankfurt to Prague, cruising down the autobahn with a friend from Amsterdam. It's a short, but sweet, story. The sound track is pretty good (I'm the dj) and the setting is like a storybook. Don't get me wrong, the five hour drive from Calgary to Jasper is stunning. 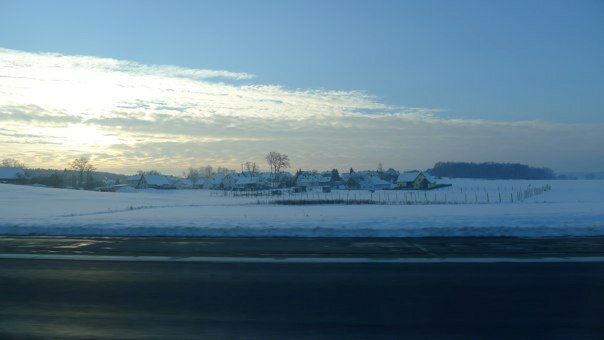 But, in the same time, here I am crossing a national boundary, traversing 500km of eastern europe. I just finished a book on the German occupation during WWII and, seeing the ground covered in snow, the icy fog hovering over the trees, I feel that I understand it better. Just being here makes this book is so much more relevant. Though I could never truly appreciate what it was like from the comfort of my friend's 2009 mini cooper, I could at least ponder a bit more accurately what it might have been like. Everything has more meaning when you can feel it and see it for yourself. Sell your books and buy a ticket. To anywhere. 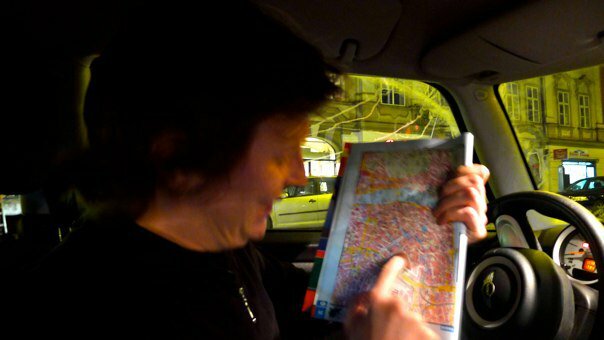 We eventually got to our place in Prague, sans GPS. We did it old school, with a map. Analog GPS, if you will. We didn't get there first, but we still got there. And it was better than reading a book.